Downtown Atlanta’s most interactive attraction will enshrine holiday happiness, kicking off the most wonderful time of the year with activities, treats and holiday decorations. 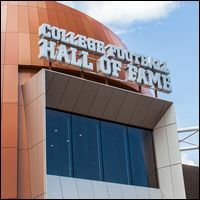 The Hall will be “decked out” with holiday decorations with daily activities and special appearances by Fumbles the Elf. Santa will visit the Hall on Saturdays and Sundays from 10 a.m. to 2 p.m., and there are plenty of college-themed props for your very own team photo! 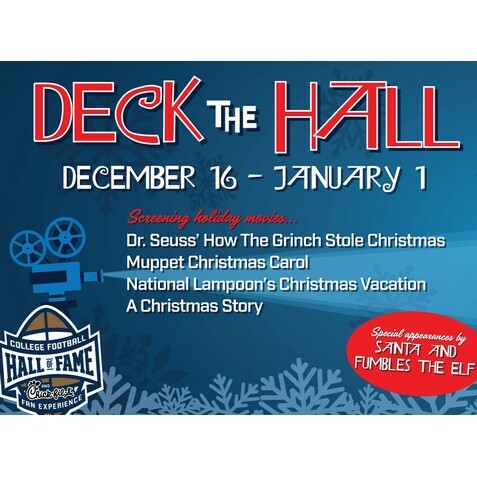 On select dates during Deck the Hall, bring your family to enjoy screenings of classic holiday movies.